The original Godfather is a brilliant work. It is in a sense a voyeuristic delight, allowing us to see the mafia from the inside - we become part of the family. It single-handedly change the world's view of organized crime, and created a cast of sympathetic characters, none of whom have a shred of common morality. It was the highest grossing movie of its time and Brando created a cultural icon whose influence resonates as strong today as it did in 1972. As extraordinary an achievement as this is, Part II is even better. It easily receives my nod as the best picture ever made. I have seen it at least 20 times, and each time its 200 minutes fly by. The movie uses flashbacks to brilliantly weave two tales. The main story is the reign of Michael Corleone as the world's most powerful criminal. Now reaping the benefits of legalized gambling in Las Vegas, Michael is an evident billionaire with an iron fist on a world of treachery. Behind this, Director Francis Ford Coppola spins the tale of the rise of Michael's father, Vito, to the center of the New York mafia. It is these scenes that make the film a work of art. Without spoiling, I will simply say the Robert DeNiro as the young Vito is the best acting performance of all time, a role for which he won a richly deserved Oscar. The screenplay is full of delicious little underworld nuggets ("Keep your friends close .....", "I don't want to kill everyone, just my enemies"), while it blows a dense, twisted plot past you at a dizzying and merciless pace. The cinematography is depressing and atmospheric. The score continues in the eerie role of its predecessor, foretelling death and evil. All of this makes the movie great and infinitely watchable. But it's what's deeper inside this film ... what it is really about ... that is its true genius. 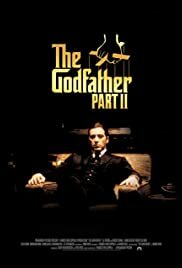 The Godfather Part II is not really a movie about the mafia, it is a movie about a man's life long struggle. Michael controls a vast empire that is constantly slipping out of his hands. He grows increasingly distrustful and paranoid, and even shows signs that he hates his own life. Michael almost seems to resent the fact that he is a natural born crime lord, a man who puts the family business ahead of everything. 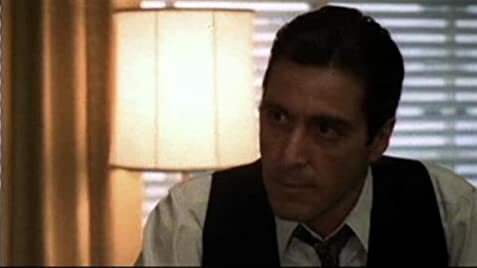 The great Don Michael Corleone can never come to terms with one simple fact.... his father's empire was built on love and respect, Michael's empire is built on fear and violent treachery. See this movie. It's three-and-a-half hours very well spent. 360 of 457 people found this review helpful. Was this review helpful to you?